Our spiritual discovery staff are honored to support your process, whether you’re religious, spiritual, agnostic, atheist, or simply on a journey of inner growth. Spiritual Companioning, originally known as Spiritual Direction, offers an opportunity to deepen and explore spiritual aspects of the human journey. All major faith traditions have included some form of spiritual direction to help seekers contextualize their experience. A Spiritual Director companions, rather than “directs” individuals. Through conversation, storytelling, and reflection, a director forms a supportive relationship with a directee to foster openness and responsiveness to the Sacred. Spiritual Direction at Claret Center takes place in a confidential one-on-one or group setting. Typically, meetings are once a month. However this may vary according to individual needs. explore deeper meaning in everyday life events. cultivate a richer spiritual life. find clarity regarding major life transitions. open the experience of grief and loss. If you have questions about Spiritual Direction please click here. Our nine-month Spiritual Direction Internship has been offered for almost 30 years. This is a unique opportunity to develop deep listening skills and compassionate care for self and others. The program is experiential in nature and is facilitated in small groups. You can download a flyer (PDF) with more information here. The application is available for download here (PDF). Circles of Trust allow spiritual community to emerge from a process of group sharing, with particular attention to the Divine. Supported by a Certified Spiritual Director specially trained in group dynamics and formed by individuals with similar goals or concerns, groups typically meet monthly for a designated length of time. A list of Spiritual Directors/Companions on staff can be found here. 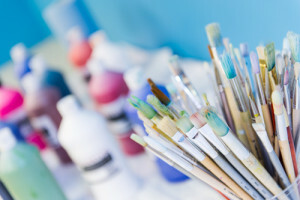 The arts not only support spiritual growth through creative self-expression—they’re also fun! 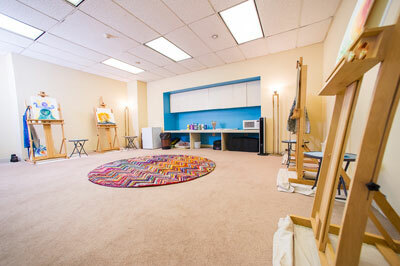 Claret Center is happy to offer individual and group classes and workshops in two locations—Hyde Park and the Loop. For personalized experiences, please contact us.